Most to-go restaurants and concession stands use either food containers or sandwich bags to serve their sandwiches and burgers in. Ziploc is by far the most famous brand of food bags on the planet for school lunches and storing leftovers. Bag Sandwich Low Density Flat - 7 in. x 7 in. 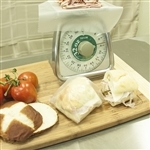 Dry Waxed Plain White Sandwich Bag - 6 in. x 0.75 in. x 6.5 in. Sandwich Bag Low Density Flip Top - 7 in. x 7 in. Sandwich Bag HD Flip Top - 6.5 in. x 6 in. Buy wholesale paper or plastic Sandwich bags for your restaurant, concession stand, or your children's lunches.